All of the depictions of the grim reaper that I have seen have an underlying masculinity. 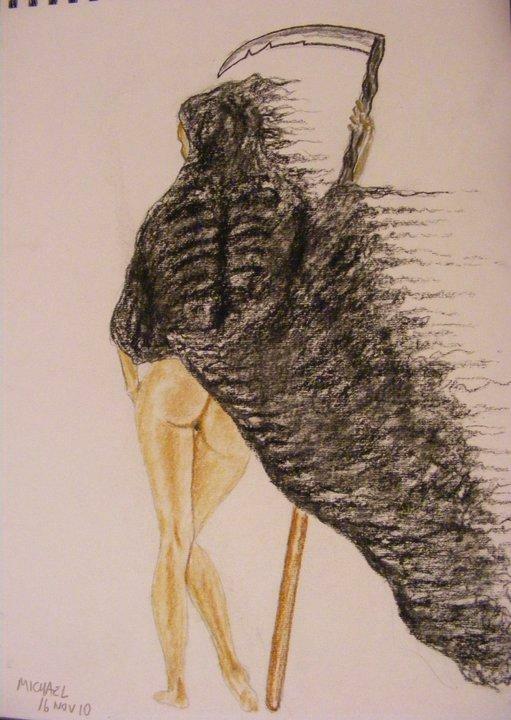 We catch a glimpse of the real reaper when the wind blows her cloak to one side; for me the black rotting cloak of the reaper hides the body of a woman. It is a woman that has left me empty, lonely and suicidal.